BARBIE FORTEZA’s fans who are asking as to when she’ll have a new show will be glad to know that she’s about to start taping a new soap, tentatively titled “Meant to Be”, to be aired early next year. We’re happy for Barbie as she’s really one of the most competent young actresses we have today, as she has proven with the awards she has won for films like “Puntod”, “Mariquina” and “Laut” for which she won in an international filmfest in Portugal. One of them is Ken Chan, who finally has a follow up show after he won acclaim as a transwoman for “Destiny Rose”. This time, he’d play a Chinoy, the illegitimate son of a rich Chinese tycoon, who’s a bad boy because he has a big chip on his shoulder. 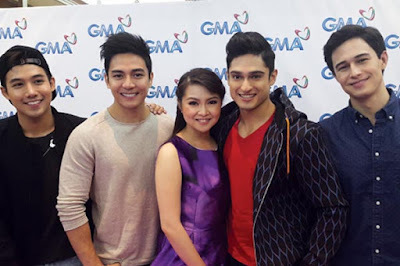 The other one is Jak Roberto, who gained fame showing off his six-pack abs in “Dear Uge”. The other two are both foreign guys who both started with the Kapamilya Network: Ivan Dorschner and Addy Raj.